1. Navigate to the website that is hosting the PDF and tap on it’s link. In the example, it is a PDF inside a Moodle course. 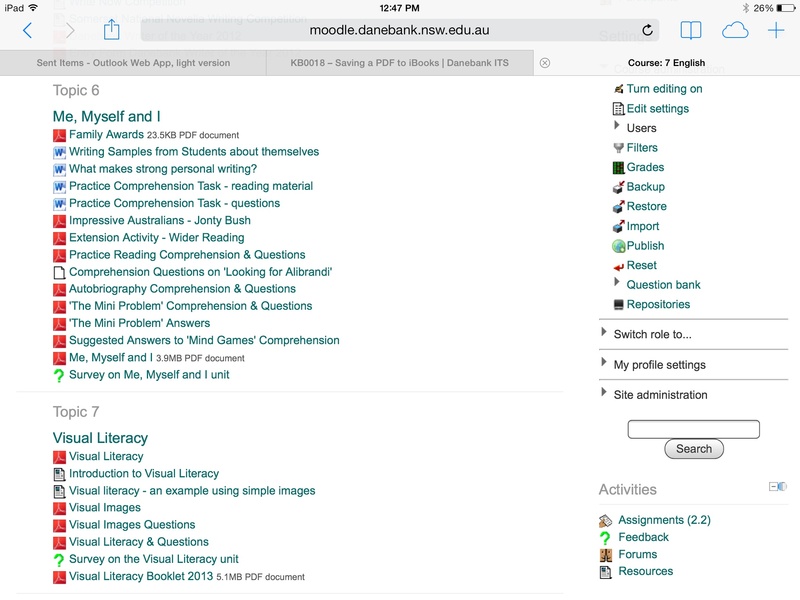 A Danebank Moodle page displaying course documents. 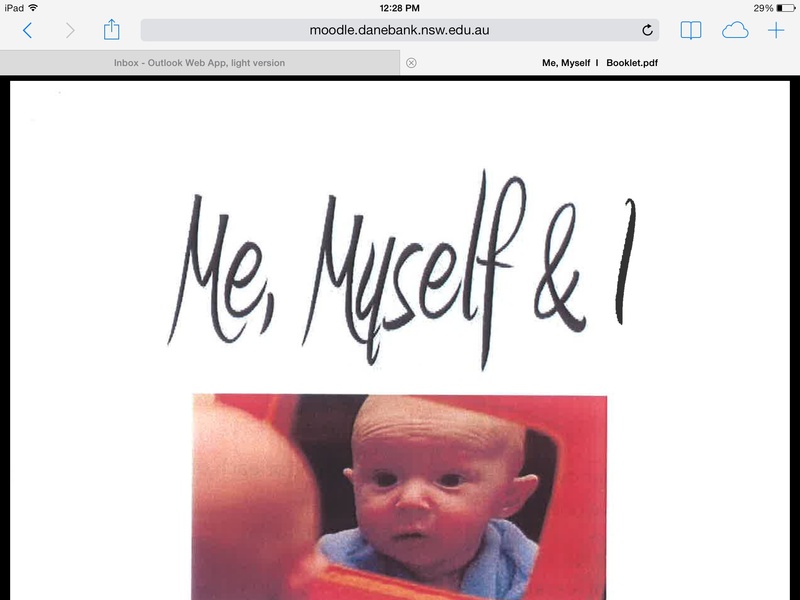 Open a PDF document by tapping on it. Tap anywhere on the screen so that the menu across the top appears. Then tap Open in "iBooks". 4. 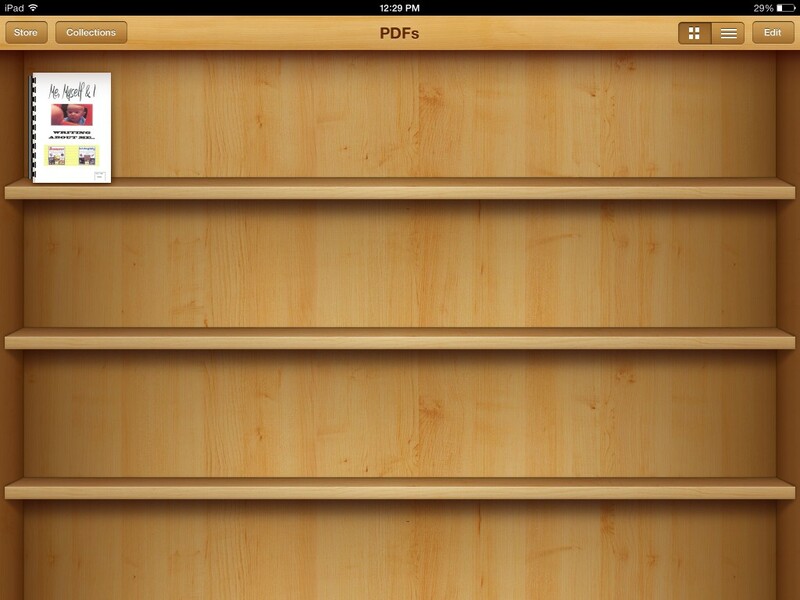 The iPad will now automatically switch to iBooks and you will see the PDF appear in the list. The document now appears in "iBooks". View the document by tapping on it.